Location: Saint-Pardoux-les-Cards, in the Creuse departement of France (Limousin Region). 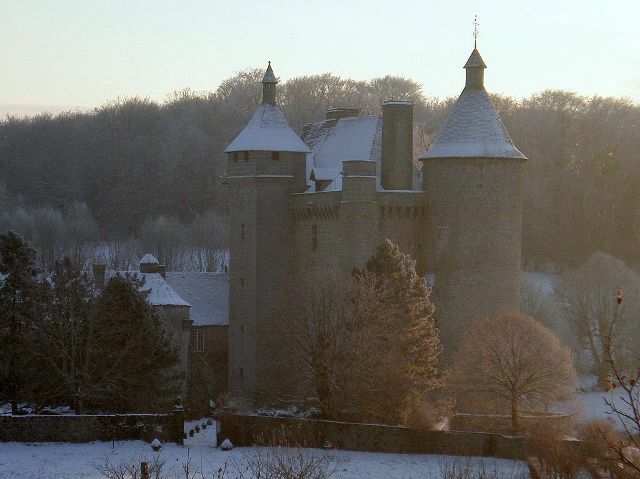 Notes: Château de Villemonteix is located in Saint-Pardoux-les-Cards in the department of Creuse and Aquitaine-Limousin-Poitou-Charentes region.The castle was built in the fifteenth century. He could control access to one of Ahun.Le castle is classified historic monument since 1946, it is currently inhabited by the owner who bought it in 1982. It is now open to the public.